John Slater, the former Crpl has returned to Keystone after a 6-month absence. Before he left, he shed his army attire and good intentions for Brandon Alpha, a man corrupted by power and greed . The two have formed the Enemies of the State. Since Slater returned, these two men have caused chaos throughout Keystone. Are these men looking to take the Keystone State Tag Division or are they looking to take Keystone itself? 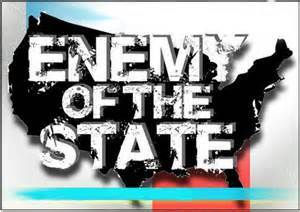 The Enemies of the State are here and no one is safe!